Hello everyone, and welcome to the Open Forum. This is a place to talk about life, video games, or anything else, so feel free to hop in and join in the discussion. When you’re done, feel free to peruse the articles on TAY and TAYClassic. Is this your first time on TAY or the Open Forum? Then check out this handy TAYtorial! If you still can’t get enough of us, stop by the IRC Chatroom . Finally, if you need to reach an admin or author, find them fast in the DirecTAYry. BONUS! If you wanna take upon the TAY Game Challenge you can find more info here. Welcome, welcome! Let’s begin this May the 4th with the ever present forum of openness. Over the weekend (actually it was Thursday) I was able to go see Avengers: Age of Ultron. It had some cool stuff and some not so cool stuff. The fight scenes were decent at best. I feel like last year’s Winter Soldier raised the bar big time as far as action sequences are done in MCU. I’ve heard mixed reviews online and from a few of my peers. Some believe its the best Marvel movie yet. Myself, I think it’s just ok. The original Avengers was special because that was the first time you see all these characters assembled on screen. Now 3 years later that specialness just isn’t there anymore. I’m certain that when I wake up this morning there will be several think pieces on how ‘The age of Marvel is over’ or ‘Have we reached superhero saturation?’. Maybe. But then DC goes and posts the image above and I’m suddenly intrigued again. 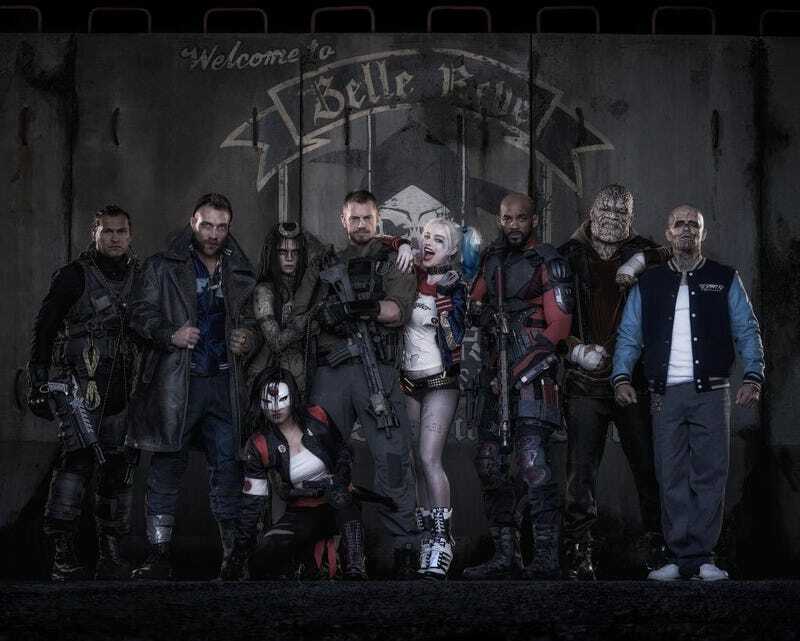 Harley Quinn is the only character I can name in that picture but I’m much more interested in this than say Ant-Man and its only a single shot. It could end up being DC’s biggest failure but until then consider my interest piqued. Did you watch Age of Ultron? Are you done with superhero flicks? Are you tired of this subject?